To best market your product in the technology industry and make your brand stand out, you must connect with your audience. The best way to do that? Tell them a story they won’t forget. Of course, it can’t be just any story—it has to be the story of your brand. Remember, when it comes to your buyers, underneath all the high-power executive speak and demand for software are really just people with emotions. Storytelling is a compelling strategy for stirring those emotions and drawing leads to your brand. Approximately 5,000 marketing messages are seen everyday, and, of those, 79 percent of people scan them rather than read the entire message. Telling a good story will keep readers engaged with your brand and keep your message from getting lost in a sea of a thousand messages. To succeed, the main objectives of your story must be to connect your audience to your product and humanize your brand so your audience can relate. Then you must earn their trust by continuing to be authentic and back up your statements with facts. But even in the world of technology and software, brand storytelling is an art. So how do you tell a story that will fascinate and excite readers about your brand? Although it may seem to go against the grain, stop thinking like a marketer. Instead, focus on answering the question, “Why should people care about my company?” To get readers interested, you have to compel them to want to work with your company, which makes it that much more important that storytelling is done right. If you want someone to care about your brand, the best way to do this is to evoke an emotion. Research at the UK-based Institute of Practitioners in Advertising found campaigns containing emotional content were twice as effective as those containing only rational content. Appeal to your audience’s emotions with stories that include elements of inspiration or happiness, something we can all relate to. Let readers know the company’s backstory and how the business and the product came to be or share the vision the founders had to become something great. Inbound marketing company HubSpot helps its users attract and convert leads. On its website, it has a separate “About” page to tell its story. It even incorporates video, color transitions and microcontent to enchant readers while painting the picture of the journey the brand took to be as successful as it is today. In addition to the aesthetic features, HubSpot uses a familiar, conversational tone. When learning its story, the reader feels as though he is hearing close friends reminisce about their aspiration to create a product that would change marketing technology as we know it. Tell your readers what motivates you and your team to wake up every day and support your company’s mission. Give them insight into who the visionaries are and who you are as a team. Putting a face to a name is yet another way to humanize your brand and be relatable to audiences. This is different from customer service. The customer experience is how the customer perceives their interactions with a company. To incorporate this into your brand story, tell your audience what your current clients value most about working with your brand and why they continue to work with you. Telling your brand’s story is an effort to attract new customers and remind current customers why you are the best at what you do. To do this effectively, try this powerful technique — feature the customer as the hero of the story. Your buyer is the protagonist, the hero who follows the typical storytelling format: once upon a time she had a problem, most of the story is spent overcoming that problem, and she lives happily ever after once she’s found a solution to the problem. In this case, the problem the customer has is related to her need for your services. She overcomes this problem by using your software solution, which is the answer she needs and will make a positive impact on her life. Your company will help her meet her needs in an efficient way, in every aspect from sales to customer service to the actual services you offer. Citrix, a company that allows individuals to collaborate remotely, regardless of device or location, achieved success by putting its customer in the hero role. 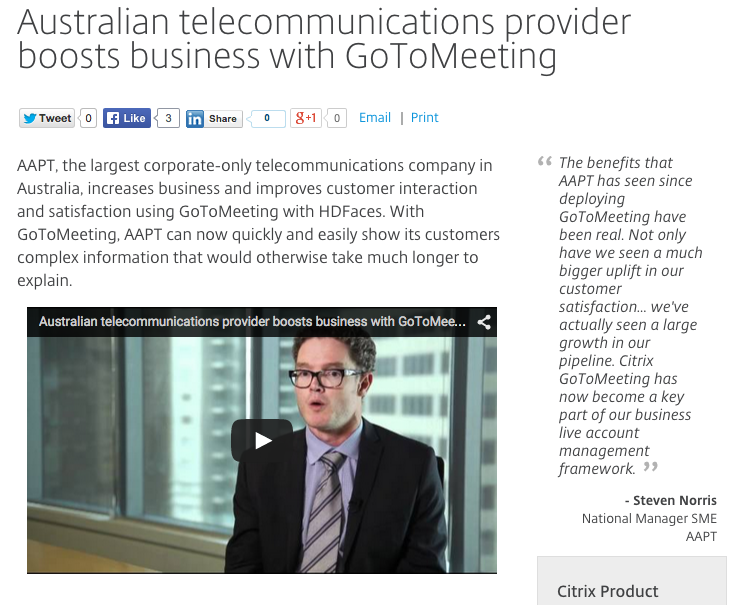 On the website, Citrix has an entire page dedicated to allowing customers to tell their success stories about how using Citrix positively impacted their businesses. This makes the customer a hero not only by highlighting customers on an entire section of the website, but by showing that using Citrix enables a business’ clients to access them when they need them. It allows Citrix customers to tell readers in their own voice of their happily ever after. With technology marketing, you want to use your products to help tell your story—it’s natural for tech engineers and marketers to strive for innovation and want to try new things. A tech company great at marketing themselves is—no surprise here—Apple. Ever the innovative force of the technology world, Apple never ceases to find new ways to incorporate its latest product into its marketing strategy. One of the most recent cases showed how easy it is to record music with the iPad. The commercial aired just ahead of music’s biggest night, the Grammy’s. It shows how professional musicians use the iPad to create their works of art and how simple it is for the public to create music, too. And, true to Apple’s innovative fashion, not only is the commercial featured online, it even spawned a microsite explaining the process to fans of the artists’ work. To replicate Apple’s efforts, determine what technology can be used to help you tell your brand’s story. Consult with others at your company to make sure the technology will actually help the story achieve the objectives of humanizing and trusting your brand. Additionally, take into consideration the timing for releasing a brand story. Apple’s choice to release their commercial prior to the Grammy’s appealed to music lovers getting excited for the awards. Not to be confused with the customer experience, the user experience is the overall experience of someone who is using your technology. To increase engagement, make sure to keep the user experience at the forefront. A recent study by Microsoft showed that attention spans have dropped down to 8 seconds, which leaves a tiny amount of time to make an impression and fascinate your audience. By harmonizing the user experience, you are looking through the eyes of your readers and building your story to satisfy them. There are many factors that go into brand storytelling for a technology or software company—engaging your customers, getting them to trust you and humanizing yourself are just a few. Also, remember: storytelling is not just what you say explicitly, it’s how you convey your message and connect with your target audience. 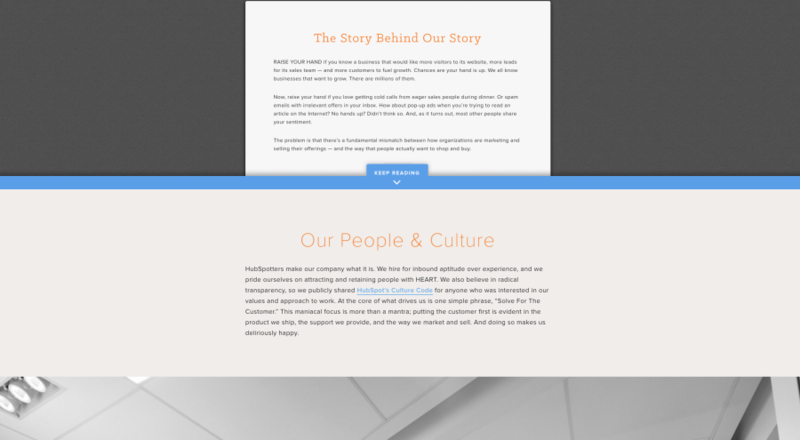 Have your story reflect in all aspects of your company for a complete user experience. It should be evident in blog posts, on the website, through customer service interactions, in videos and anywhere else you can communicate it to ensure your brand appeals to the emotions of your customers. Good stories give a brand a powerful voice and reinforce the bonds between a company and its customers. Have you had success in using brand storytelling in marketing technology? Let us know in the comments below!